HAWAII - Geographically the most isolated chain of islands in the world. The oceans surrounding Hawaii are blue, pristine, fragile - and CLEAN? 1947 - Thor Heyerdal crosses the Pacific on a balsa wood raft called Kon Tiki, sailing from Peru to Polynesia. "On this ocean, where I encountered so few signs of life the traces of my fellow man were nonetheless very much in evidence. Pollution was visible everywhere. Plastic bags, Styrofoam packing, etc." 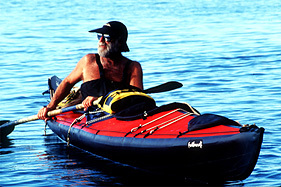 1991 - Gerald D/Aboville rowed across the Pacific from Japan to Washington State. "Every twenty minutes or so I would come upon some sort of debris, which, considering my limited horizon, suggests the magnitude of the problem." "If you were to walk on the windward side of the island of Lanai, (the side facing West Maui resort areas) you would be shocked to see all the garbage. Of the numerous ocean voyages that I have made from Hawaii to the U.S. mainland - thousands of miles from land - currents that extend for miles contain so much plastic that one cannot see the sea.". If you smoke, do not bury your cigarettes in the sand, or throw them into the sea. Cigarette papers take more than a decade to decompose. Green sea turtles will eat them mistaking them for food. Use a cloth tote bag when shopping for groceries etc. Eliminate using plastic. Should you have recyclable items (glass, plastic, newspaper & cans) take the time to inquire where to recycle these items before leaving your vacation spot. Encourage the resort of which you are staying to recycle if they do not already do so. Do not walk on - or take coral from the reefs. Coral is a vital Eco-system used by numerous species of marine life as a home. I suggest - do not feed fish with fish food. 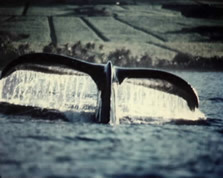 It is a bad habit for natural species to begin getting used to for their survival. It is not a natural way. Jet Ski's & Parasail operations create continuous noise in a once pristine environment. Jet Ski's - running on a mixture of oil & gasoline discharge 30% of this mixture into the ocean. And average 3-hour "Thrill" ride dumps 3 gallons of gas & oil into the water. Directly over the reefs. Enjoy your stay here in Hawaii or wherever you may vacation. Please make it a way of life to keep this planet clean.